Let me begin by expressing my delegation’s gratitude to you for organizing today’s open debate on protection of civilians in armed conflict. Last week’s debate on post-conflict stabilization was very productive and we believe that today’s topic is inextricably linked to stabilization and peace building. The protection of civilians is a very important issue to Afghanistan as the Taliban and al-Qaeda continue their heinous acts to disrupt the efforts of the government and international forces for establishing a stable, prosperous and democratic Afghanistan. In our endeavor towards developing a democratic state, it is essential that all citizens feel their human rights are secure and everyone is treated with dignity and respect. The most basic human right is the right to live in security but too often people in Afghanistan are deprived of this fundamental right by terrorists. Indiscriminate and brutal terrorist attacks are carried out in Afghanistan particularly, in the southern part of the country as terrorists use fear-tactics to undermine people’s trust in their government and the international community. Whether in the form of roadside bombings, suicide attacks, or various other heartless killings – the acts of violence committed against civilians by the Taliban and Al-Qaeda are premeditated. They are designed to weaken the determination of the international community to support Afghanistan and the trust the government is trying to build with our citizens. The enemies of Afghanistan intentionally seize opportunities to use civilians in combat in order to complicate the response of international and national security forces. The insurgents attack remote villages populated by peaceful farmers and laborers. They take shelter in or around homes and buildings, using them to attack security forces, in an attempt to force combat in civilian areas. Local residents are inevitably caught in the middle. The Afghan government and international forces spare no effort to avoid civilian casualties, while terrorists use civilians as human shields. The suicide attacks are the clear manifestation of deliberate killing of innocent people. In fact, they thrive on a casual disregard for the sanctity of human life and the enmity widespread violence breeds. Although it is very difficult to avoid collateral damage, an integral part of military planning is to avoid harming civilians. The number of civilian casualties is lower than often reported. Also, we are not certain about the accuracy of casualty estimates presented by international organizations as they are mainly based on reports that in many cases latter proved to be exaggerated. In fact we face an enemy without a uniform or identity badge, indistinguishable from local people. As a result, a dead Talib may be perceived as a civilian death if he is an Afghan. Despite the complexity of the issue, the protection of civilians is of the highest priority for our government. Our forces act with the utmost precaution during combat in civilian areas. Furthermore, international and Afghan forces have recently implemented new methods including the use of smaller bombs and revised the use of other weaponries. A new mechanism of coordination between ISAF and our security forces has been established in the eastern and southern zones, which allows us to carefully plan operations and avoid collateral damage. Thanks to these methods and mechanisms, my delegation is happy to report that the number of civilian casualties and airstrikes during counter-terrorist operations has decreased considerably since 2007. However, the government of Afghanistan is deeply concerned with any loss of civilian life, and urges the international community to exercise utmost caution during combat operations. 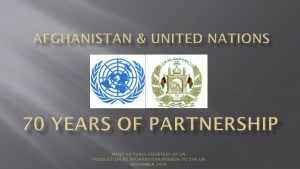 Although we have come a long way -much more needs to be done both in Afghanistan and beyond. Unfortunately, where there is armed conflict, there will be casualties – it is a sad and painful truth. In order to enjoy the popular support of the people, any use of force by the government requires an elaborate moral justification. Insurgents and terrorists take advantage of this necessity with acts of violence that erect a barrier of fear and mistrust between the people and their government. Nonetheless, the most important question in front of us is how to minimize civilian casualties in armed conflict. 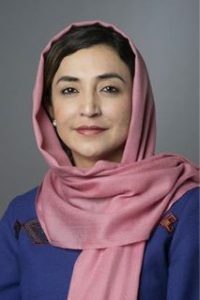 The international community and the government of Afghanistan have a common understanding that it is imperative to enhance coordination between national governments and international organizations in a view to protect civilians. We are in a battle to win hearts and minds in Afghanistan. Terrorists are ruthless and irresponsible by nature: they intentionally exploit our sense of fairness. However, our humanity is not a weakness. In fact, it is the very foundation of our society. Hence it is crucial that we act upon what we have learned here today to secure the lives of civilians and engage local communities who are at the front lines of the struggle. After all, the diplomatic efforts here, and the counter-terrorist operations on the ground have a common goal: to protect the peoples of our nations without whom there would be nothing to fight for.